There are various books that I have recommended to people over the years, and I thought it might be useful to list some of them here. I either recommend them for information or reassurance, depending on what is required. Some of them talk about other people's experiences of motherhood and birth, some can help you learn more about your baby and some are just a bit of fun. I hope that you find them interesting and reassuring. If you're struggling as a parent in some way, one or two of these books might not be helpful right now, in which case I would maybe wait until you feel more confident. I have noted this on books that I think might contain potential triggers. Naomi Stadlen is a Psychotherapist and counsellor who runs the 'Mothers Talking' group at the Active Birth Centre in London. Her book, "What Mother's Do", is one of the best known books talking about the experience of being a mother and how difficult it is to pinpoint what mother's actually do. It's a wonderful and compassionate read, as it can help normalise many of the emotions and experiences of mothers, especially in the early days. It can be very reassuring, especially if you're not sure if other mums feel the same things. Another book by Naomi Stadlen (yes I like her work! ), this time discussing the business of what it is that mothers are actually 'doing' by doing all the things discussed in her previous book. It's a look at connection and attachment and how mothers are creating a loving relationship with their baby. Again, this book is written about the psychological changes and challenges that a woman experiences as she becomes a mother. It can be really helpful to normalise some of your experience and put it in context. If you want to know more about what your baby might be 'up to', this is a really lovely book. Lynne Murray is a developmental psychologist who has studied babies for decades and she has a wonderful way of helping you see things from your baby's perspective. This book can be useful if you want to reassure yourself that your baby is a co-partner in this new stage of your life, and that you can trust them to help you learn what they need. Unfortunately this is not cheap, but it is again a fascinating look at what your baby might be up to. If you wonder whether babies have a sense of humour, you might find this interesting. This is a fascinating look at how childcare advice has changed through the ages. If you are struggling to find your own way as a parent, and feel bombarded with different approaches, this might be a bit of an antidote as it shows how varied (and at times contradictory) different childcare approaches are. Combined with 'The Psychology of Babies', this can be really helpful in learning to trust in the relationship between you and your baby. Contemplating another baby, especially after having a mental health issue with a previous baby, can be daunting. This book is useful to help learn about other people's thoughts and give you some things to consider. If you're struggling as a mother, it can be useful to hear that others have struggled and survived. This is a pretty frill-free account of new motherhood, where Rachel describes her own experience. Many new mothers have enjoyed reading this book, and found it a refreshing take. I thought twice about including this one, as I don't like to provoke gender wars. However, the truth is that often motherhood is the first time for many people that gender issues become so obvious. If you feel as though you are struggling to understand how your relationship with your working identity and your partner have changed, this book might help give some insight and some food for thought. This book talks about traumatic births and came about as a result of Sheila's experiences listening to women with birth trauma. If you are still finding your birth difficult, whether or not it was described as traumatic, this book might help you feel less isolated and more able to move forwards. If you are not feeling the way you would like after having a baby, this book might be helpful. 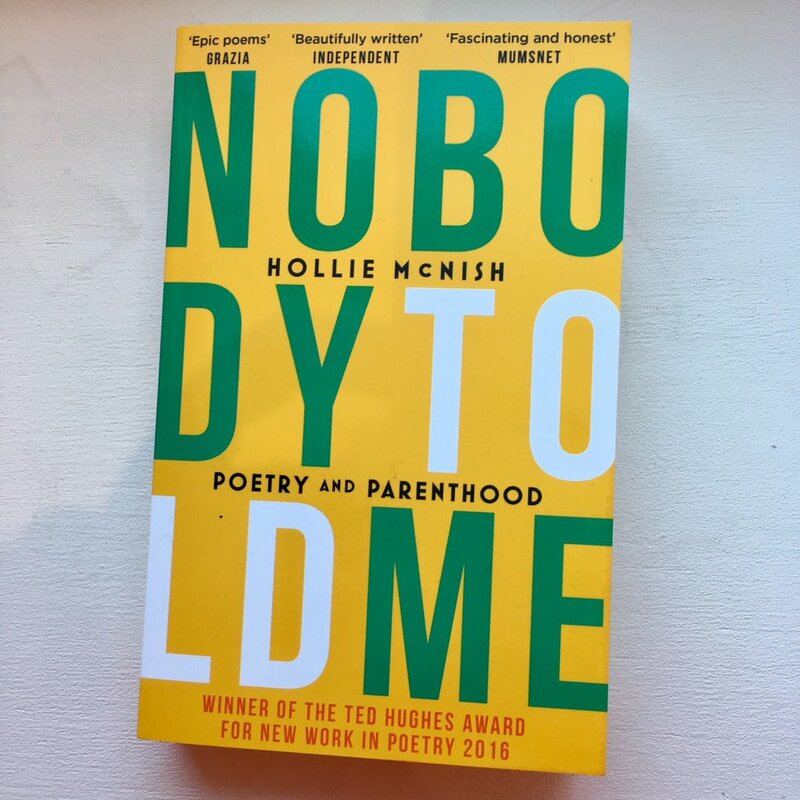 It is slightly one sided, in that it doesn't necessarily talk much about the joys of parenthood, but if you're struggling it can be very helpful as she has a great way of describing some of the hardships of new motherhood. This is a series of blog posts taken from the 'Selfish Mother' blog site. It is a snapshot of essays from (mostly) new mothers, talking about their experiences. Can sometimes just be useful to hear. A great book if you are scared about your thoughts - contains really useful and reassuring information, a good self-help section, an explanation of different treatments and also discusses what others can do to help. If you are too scared to talk to someone about how you are thinking, I'd recommend reading this first. A wonderful read, and very refreshing. If you are an introvert, it can sometimes make motherhood hard, as you might find it hard to build new relationships in settings such as mother and baby groups, or else you might find it a real struggle to get the quiet that you need. This book might help you understand a wee bit more about how you are feeling, and have more confidence to approach motherhood in a way that suits you. 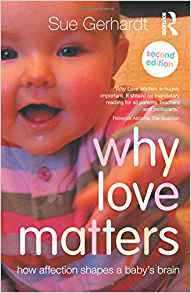 This is a really accessible book, but it discusses some really important science about how loving interactions shape our babies' brains. It's definitely worth a read, but if you feel as though you're struggling with being 'good enough', it might be worth waiting until you feel more confident as otherwise it might be anxiety provoking if you're not able to feel as though you're able to love your baby right now. This is a concise read, but elegantly describes some of the work of Michel Odent, talking about what supports a woman giving birth. I am not a specialist on the mechanics of birth. However, I recommend this book to women who are struggling to come to terms with their birth, as sometimes understanding something about your needs in labour can be really helpful when looking at how those needs were or weren't met and how that made you feel. If you haven't seen the Connected Baby, I highly recommend it. It beautifully illustrates how geared our babies our to connected with us, right from the word go. If you are struggling with worrying about whether you are 'getting it right' as a mother, it can be really helpful to know that your baby will be trying to help you.